Hope you are ready for some sponging today. (This sounds somewhat gross to me. I've always been sort of skeeved by sponges, weird, right?) I've got amazing polish on right now and I can't wait to show you! 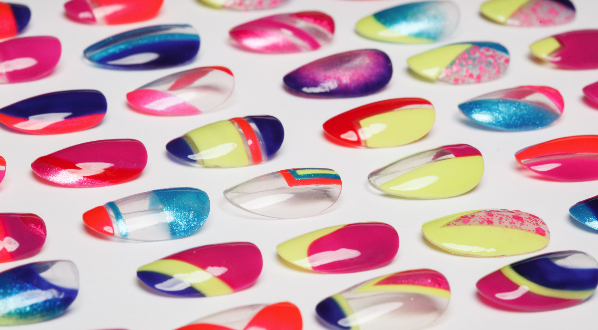 For her second collection "The Legend", Adina of A England created some of the most amazing polishes ever. I used Princess Tears, Ascalon and Bridal Veil for this manicure. I used The Knight base coat but when I went to use The Shield top coat it started smearing my lines, so I went back to my tried and true Seche. If you haven't already heard the hype on these polishes...I'll reiterate....they have a perfect formula and are flawless in 2 easy coats. YAY. A England polish can be purchased here! 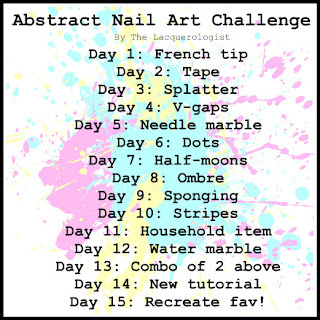 Look for Day 10 from this challenge on Tuesday and please check out what the other lovely ladies came up with! Thank you, agreed, A England makes it look amazing! OMG I think I just peed a little. Best Gradient Ever. Here's a great one, http://www.thenailasaurus.com/2012/04/gradient-nails-picture-tutorial.html I used a makeup sponge and just painted on it...as shown in my photo :) Hope that helps! I love it, I have tried the gradient nails with no success yet, but you make me want to try again! holy woman this is amazing. I'm completely blown away! The laser tape accents are just perfect too! Stunning! Holy amazing-ness Victoria! This is just crazy stunning! <3 it!!!! wow you did it again! you amaze me everytime! Your nails are beautiful! The colors are perfect with eachother! I love a England polishes! they are just perfect. ADORE.... not enough words to describe how gorg this is!! Oh my this is so stunning! I love how the stripes follow the gradient! Thanks for sharing! This gradient is phenomenal!! I have not yet had the patience to practice gradients but my first two have been major stink bombs. 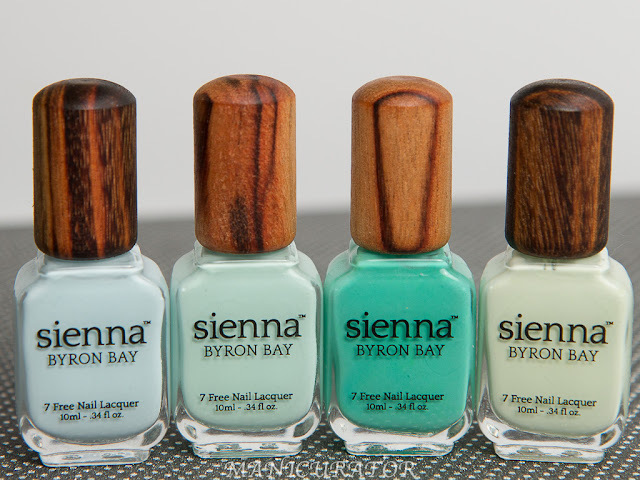 a England is amazing and these polishes definitely lend themselves to blending perfectly. Great mani!! This is an awesome gradient.. This is really subtle and pretty! I love it!! I love this! It is absolutely beautiful! Anyway I'm adding this RSS to my e-mail and could look out for a lot more of your respective fascinating content. Ensure that you update this again soon. The world hopes for even more passionate writers such as you who aren't afraid to mention how they believe. All the time follow your heart.